For a long time Bolgheri's Castiglioncello was used as Sassicaia's winery as it was the closest building to the vineyards at more than 300 m a.s.l.. 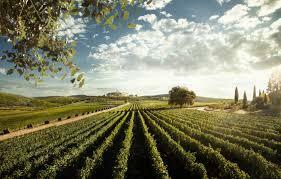 But as new vineyards were planted at greater distances and lower altitudes, a new larger winery had to follow. The new, more central location was decided in the 1960s. This is where it can be found today, on the cypress alley, close to the San Guido Oratory, which gives the estate its name. A third smaller winery was built in 2007 by architect Agnese Mazzei, it houses the barriques for the ageing of the Sassicaia.